How is Staging a Condo Different Than Staging a House? - Hope Designs Inc. If you’re planning to sell your home any time soon, you’d be well advised to have it staged. The benefits far outweigh any upfront costs you might have to pay your professional Toronto home stager. In fact, any money you spend will likely be recouped in full – and more – when you sell for a higher price. But the type of property you’re selling matters in terms of how it’s staged. More specifically, the way that a detached home might be staged will differ slightly from how a condo might be staged. Knowing what these differences are is key to maximizing the effects of home staging and helping you sell faster and for more money. So, how does staging a condo differ from staging a house? Buyer type – The type of buyer that is looking for a house will differ from those who are looking for a condo. Buyers who are looking for condos are more typically looking for a more urban lifestyle with minimal maintenance. Logistics – If you’re planning to add new furniture to your condo, you’ll need to figure out the logistics of the movement of your furniture, which usually entails booking the elevator for a specific time slot as you would if you were just moving in. Modern finishes – While there are obviously exceptions to this rule, condos tend to be more modern than houses. This, of course, depends on the neighbourhood you’re in. For instance, a condo in Barrie will be much different than a condo in downtown Toronto. Space – Condos have less space to work with, which needs to be considered when picking and arranging furniture. It’s recommended that the entire condo is staged in order to allow for more flow and consistency from one room to the next. Similarity to other units – Typical condos tend to have more cookie-cutter layouts than houses, so you’ll need to be a little more creative with your staging efforts in order to make your unit stand out from the crowd. Luxury condos are an entirely different ballgame – Staging a typical condo is one thing. But staging a luxury condo is much different. In this case, you must appeal to a very different type of buyer. Even two different luxury units in the same building may have to be staged differently to make sure the particular buyer is appealed to. Curb appeal – With a condo, you’re limited to staging just the unit itself. But with a house, you’ve got an exterior to tend to as well. Curb appeal plays a key role in buyer appeal, so it’s important to pay just as much attention to the exterior as you would with the interior. That includes the landscaping, front porch, front and garage doors, driveway, walkway, windows, and mailbox. The neighbourhood – While there’s little that you can do about the neighbourhood, you can still use it to attract the type of buyers looking in your area. The neighbourhood you live in will determine the buyer type looking at your home. Your home should be staged in a manner that showcases the preferred lifestyle of the buyer, such as families with young kids vs. baby boomers. Space – You have a lot more room to work with when it comes to staging a house versus the average condo, so you have more room to play with different furnishings and accessories. 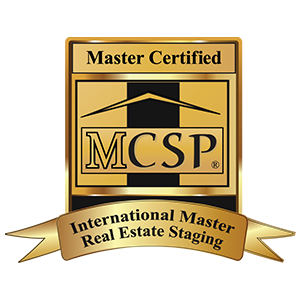 Staging main rooms – You may be able to get away with staging only the main rooms in the home, such as the kitchen, living room, and master bedroom. That said, it’s still recommended to have the whole house staged in order to appeal to buyers. Still Need Help With Staging? Whether you’re selling a house or a condo, having some professional help from a Toronto home staging company can be highly beneficial. Before you list your home for sale, be sure to contact Hope Designs to have your home staged and primed for the picking!